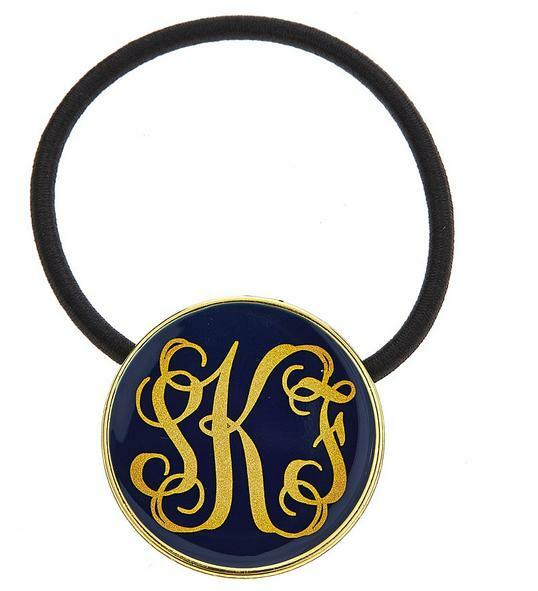 Now that accessory you use every day can be personalized! 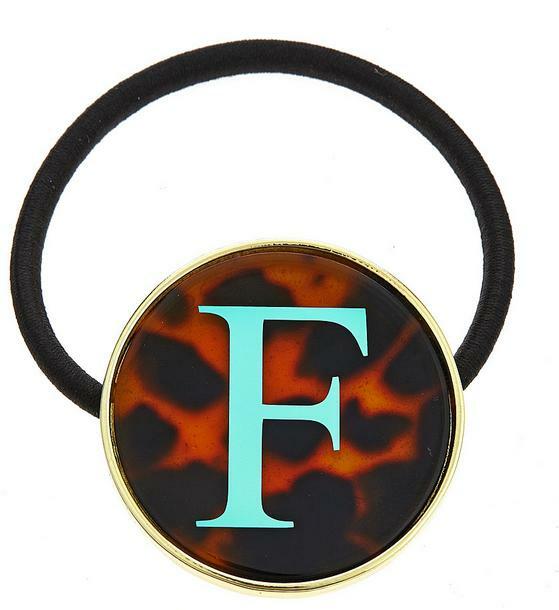 Flair for your hair, the Monogrammed Hair Tie looks great in a pony or on your wrist when you're letting your hair down. You choose your enamel (background )color from white, aqua, navy, white or tortoise shell. 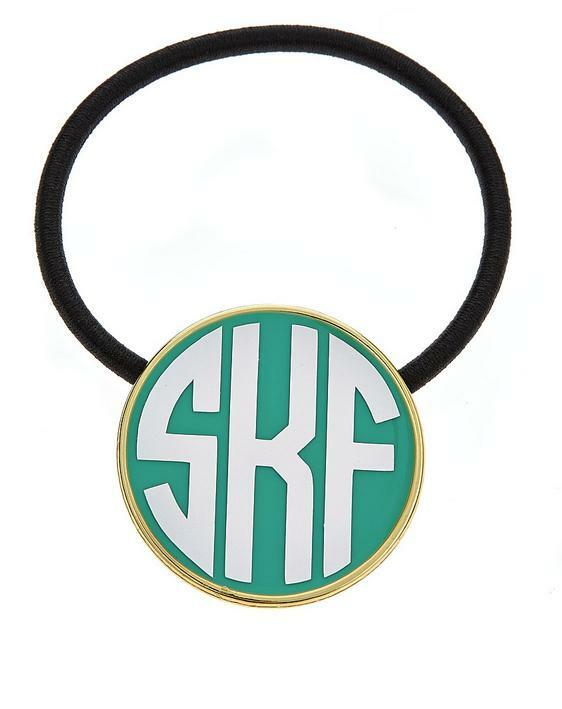 Next you choose your monogram color from over 12 colors using 3, 2 or 1 letter personalization. Choose a font style from roman times, script or circle. If you want only a 2 letter personalization just tell us in the comment section in order of your letters.